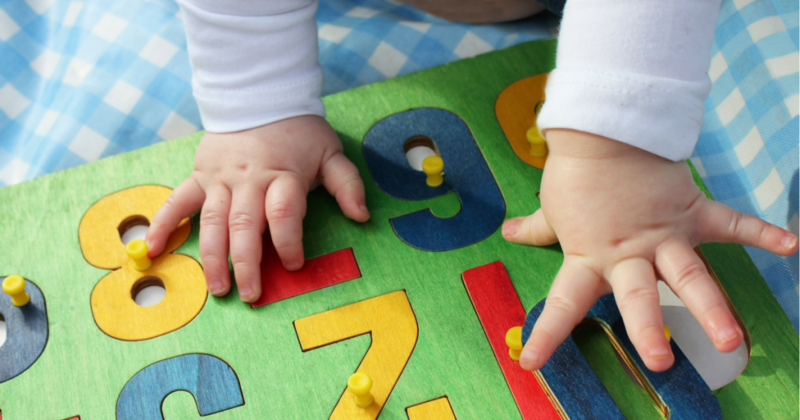 Researchers know there’s an achievement gap that exists at 18 months. That’s before any formal learning has taken place. An organization in Boston is trying to help parents close this gap. In this great piece you’ll hear about a Harvard-led program that works with at-risk, local teen mothers, providing them five number-based principles that can help close or prevent the achievement gap in their infants and toddlers. Children are born learning. And what they learn in those first few years can change the course of their lives. During the first few years of life, a child’s brain is at its most flexible, making this a critical period for learning and growth. However, the environment a child is born into often determines her early childhood experiences. Disadvantaged children don’t always get the stimulation their advantaged peers get. They fall behind and have a hard time catching up. Supporting young children, particularly infants and toddlers, through high-quality early care and learning or through family supports like home visiting can help prevent the achievement gap and ensure children develop the skills needed to do well when they reach school. Learn more. Click here to listen to the WBUR segment on their site.